Airbnb is offering private access tours of the Pompidou Center for groups of six people. The vacation rentals giant, Airbnb, has teamed up with the legendary modern art museum to offer visitors a unique experience. 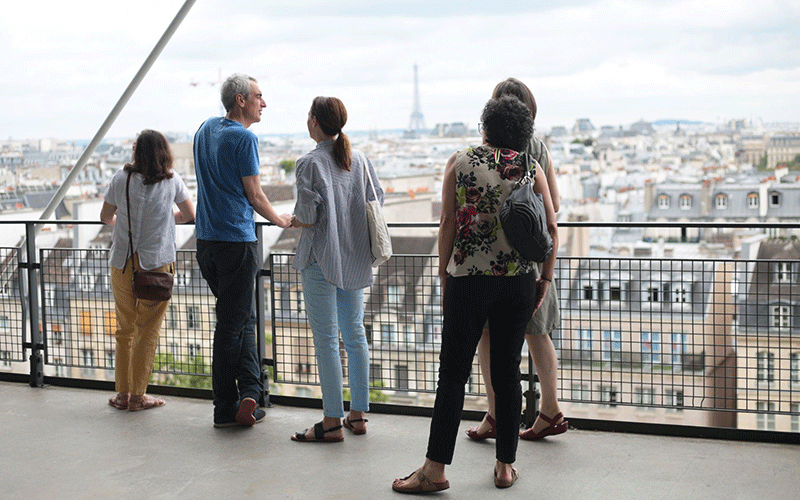 The tour offers private access to the Pompidou Center, two hours before the museum opens to the public. Led by Alisson, an American visual artist living in Paris, a group of six people will have the privilege of exploring the institution before its 15,000 daily visitors arrive. Those booked on the tour meet at a café near the Stravinsky Fountain for introductions. Then, at 10am, the group takes the escalator that snakes up the museum’s facade to visit the modern art collection, including works by Matisse, Picasso, Brancusi, Braque, Léger, Duchamp, Dubuffet, Louise Bourgeois and Sophie Calle. Next comes the contemporary section, with works from 1960 to 2018. Throughout the tour, Alisson shares explications, anecdotes and insight. The tour ends at 11am but visitors are free to stay in the museum for as long as they like. Tours are available in English or French priced €65 per person, with a maximum of six people per group.